In a world where conference calls with partners, vendors, clients, investors, remote workers and global teams are on the rise, crystal-clear conversations are a must for productive meetings. For clear, productive conference calls, full-duplex conference phones are the industry standard and a fixture in meeting rooms worldwide. Make the best use of everyone's time in small meetings and breakout sessions by creating an environment that promotes engagement and productivity. Our solutions help carry the energy from the general session into the intimate meeting spaces where productivity is at a premium. Polycoms are ideal for small and medium sized groups with a limited number of participants. Napa Valley Media offers Push-to-Talk microphone solutions for each participant with a hybrid PBX phone integration system for larger groups wanting more control of their communication. 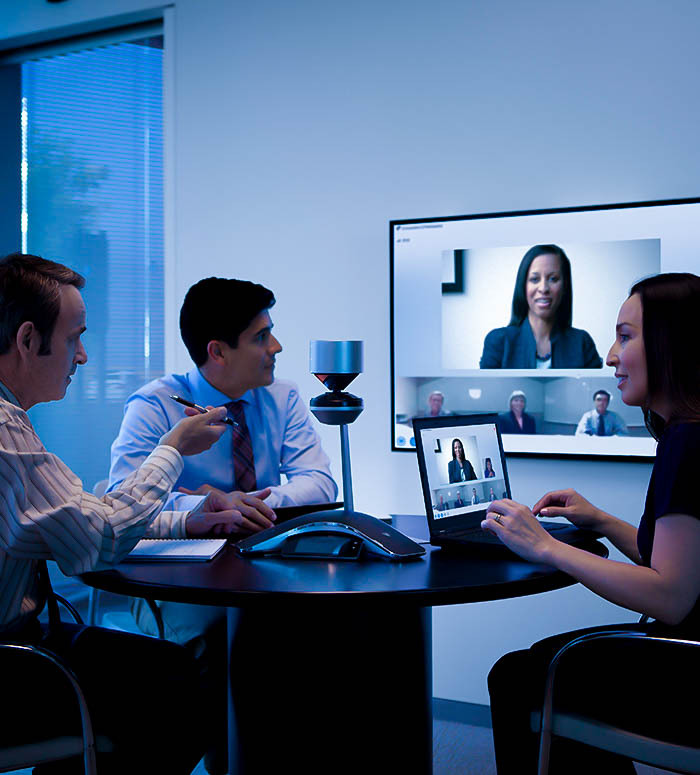 For those that require visual remote connectivity, video conference solutions are also available. Napa Valley Media can provide dedicated IP addresses for Bridge-configured Video Teleconferencing solutions or assist with more cost-effective solutions such as Cisco WebEx, Skype, Google Hangouts, Citrix GotoMeeting, and more.